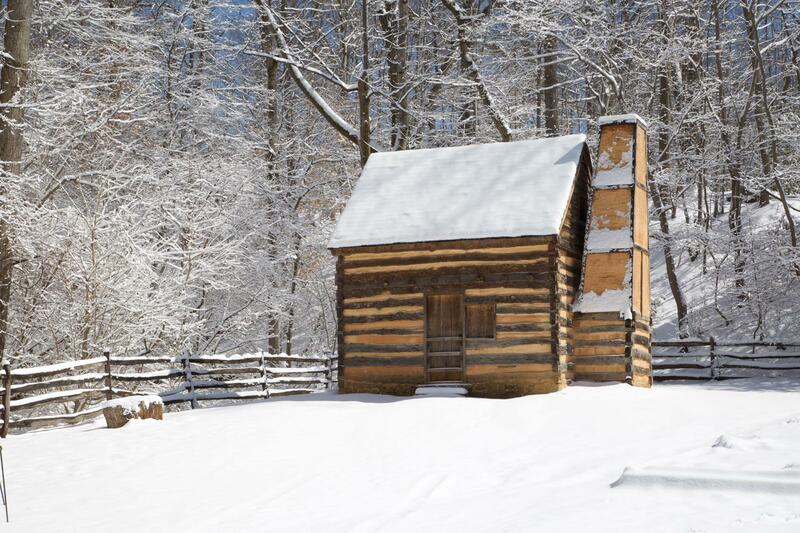 In the 18th century, George Washington celebrated Christmas with his family at Mount Vernon. While it may not have been as flashy as it is today with all the decorations and gifts, the themes of spending time with family and friends and taking a break from the hustle and bustle of working life have remained the same. Christmas was primarily a religious holiday in 18th-century Virginia, and religion played a part in the observance of Christmas at Mount Vernon. 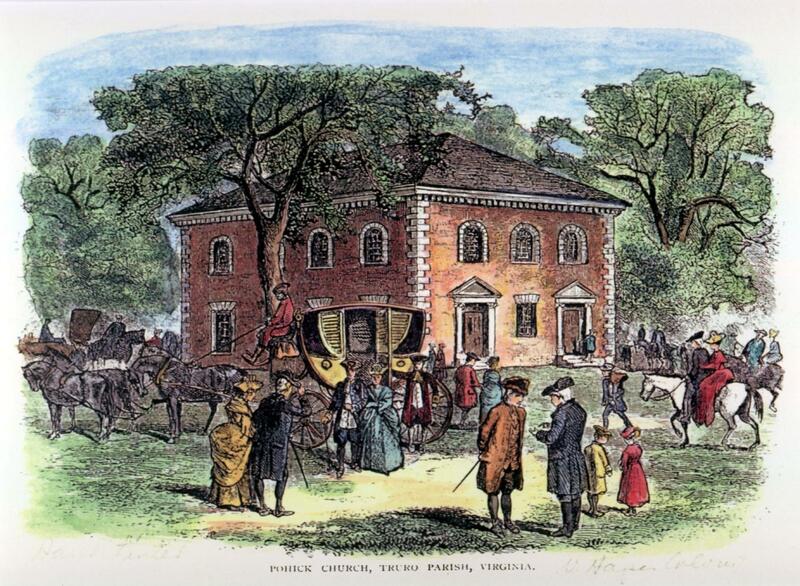 Not much is known about the Washingtons religious practices, but there is evidence from George Washington’s diaries that the family occasionally attended Pohick church on Christmas Day over the years. Instead of celebrating on a single day, the Washingtons celebrated a holiday season beginning on Christmas Eve and lasting 12 days till Epiphany on January 6th. Epiphany AKA The Twelfth Night is a religious Anglican celebration recognizing the day The Three Wisemen visited Jesus in the manger. Epiphany falls on January 6th (12 days after Christmas), and includes traditional celebrations leading up to the day with the Christmas period officially ending on the Twelfth Night. Gifts were not typically a tradition on a colonial Christmas, but Martha and the children at Mount Vernon did receive them once on December 24, 1783. On that date, Washington rushed home in time for Christmas from Annapolis after resigning his commission. He had also won the Revolutionary War that November, and it was the first time he had been at Mount Vernon for Christmas in over 8 years. His homecomeing was more than enough reason to celebrate. In his letters, Washington mentioned that he found the quiet holiday period to be a good time for visiting and putting business affairs in order. Mount Vernon has decked the halls for the holiday season and invites you to celebrate this festive time of year, through January 6! Throughout his busy life, Washington spent Christmas in several different locations. Learn about where he was and why. On the estate, the Washington family weren’t the only ones who celebrated the holidays. This time also presented a period for the servants to relax and enjoy games and feasting. All but a skeletal domestic staff were given several days of vacation, as well as extra supplies of food or an extra ration of spirits. This was often specified in the contracts made with hired help, as in Washington's agreement with a gardener dated April 23, 1787. Evidence from other estates suggests that a four-day break was standard. According to a diary entry by an overseer, white servants appear to have been given the same holiday time as the slaves. Besides freedom from work, both slaves and white servants might be given money or alcohol at Christmas, a practice which came from England. On December 24, 1787, fifteen shillings were given to the servants. Such gifts to servants were the only specific instances found for holiday gift-giving at Mount Vernon in the 18th century. 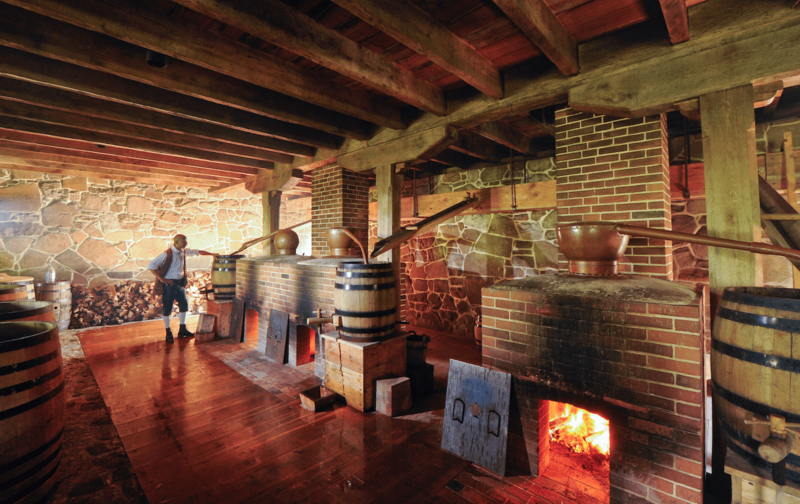 Since Mount Vernon was an active estate, cooks and house servants provided necessary services during the holiday period, which could not be neglected for even a day. In order to give them as much free time as possible, the Washingtons may have adjusted their schedule. Once they were off, the slaves and white servants celebrated heartily. Modern interpretation of Martha Washington's great cake recipe. Food photography by Renée Comet, styled by Lisa Cherkasky. In addition to gifts, dinner is an essential part of any Christmas celebration, and at Mount Vernon there were no exceptions. 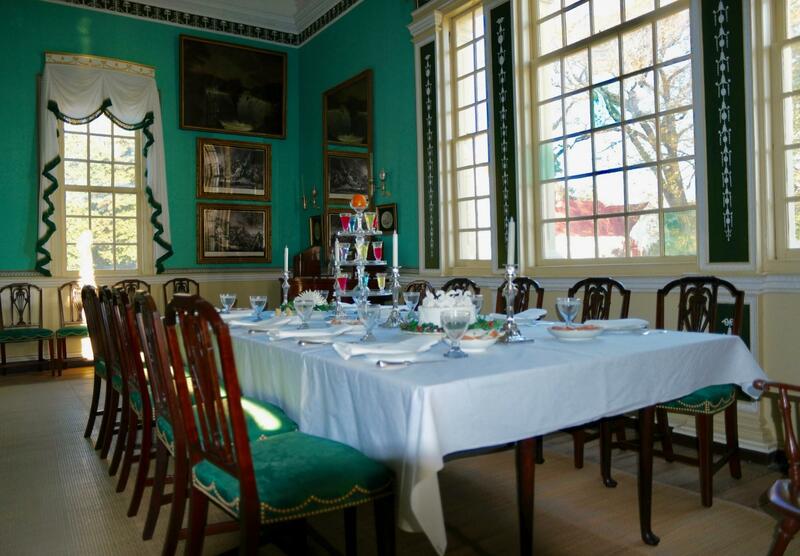 Known for setting an appetizing table, Martha Washington kept extremely busy preparing for an onslaught of guests during the holiday season. While there are no descriptions of a specific Christmas dinner at Mount Vernon and few references to foods associated with the season, descriptions written by visitors have been examined over the years. It was Mrs. Washington's habit before or after breakfast to start planning the meals for the day, and one description by her grandson reported that she "...gave orders for dinner," at this time, "appointing certain provisions, a pair of ducks, a goose or a turkey to be laid by, and to be put down in case of the arrival of company; a very necessary provision in that hospitable mansion.” Martha really pulled out the stops during the holidays. Especially before the Revolution, the Washingtons often visited with close friends on or about the sixth of January (the Twelfth Night aka the eve of Epiphany), where Martha Washington would prepare a specially decorated “great cake” for the Twelfth Night. 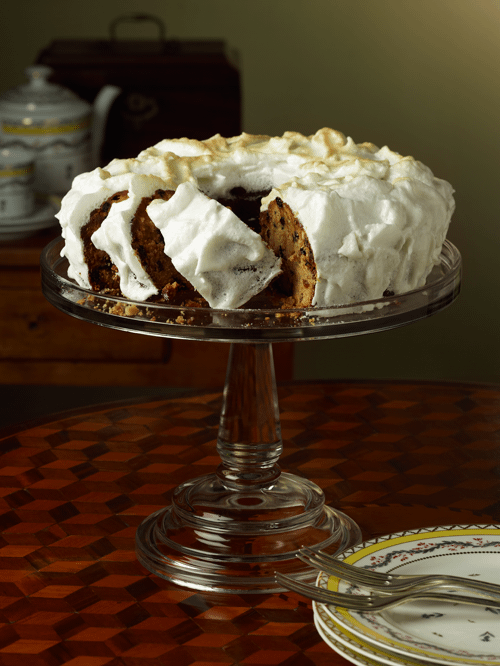 Among Martha Washington's papers is a recipe for this great cake, copied for her by a granddaughter, Martha Custis. This rich fruit-filled pastry was a custom staple for Twelfth Night festivities. Our recipes will help you eat like a Washington!